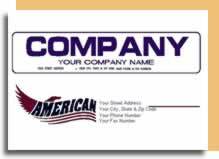 Oil Capitol Sheet Metal uses AutoCAD software to generate sheet metal drawings. 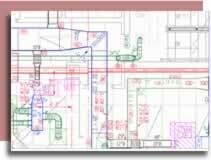 Drawings can be as simple assembly drawings or as complicated as finished As-Built drawings. Drawings are fully dimensioned, with top & bottom duct elevations, to make installation easier. Tag numbers on the duct correspond to tag numbers on the manufactured duct, showing type & size of fitting, Air Handling Unit, Job Name, metal gage, number of pieces in the fitting, and fitting diagram. Fitting labels are color coded to aid installation speed. We specialize in complete fab packages, including detailed CAD assembly drawings showing all sizes, dimensions, and piece numbers.